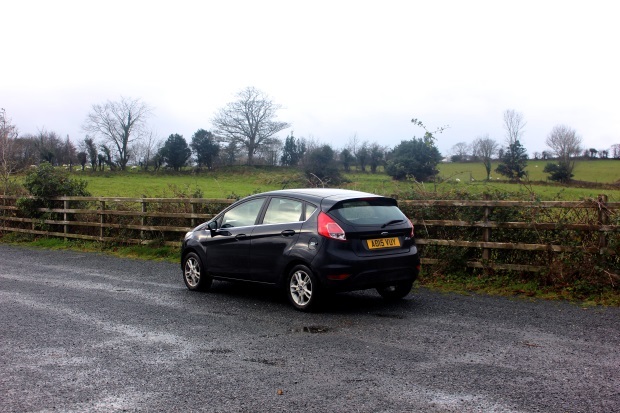 Super Collision Damage Waiver is the #1 thing you need to know about renting a car in Ireland. 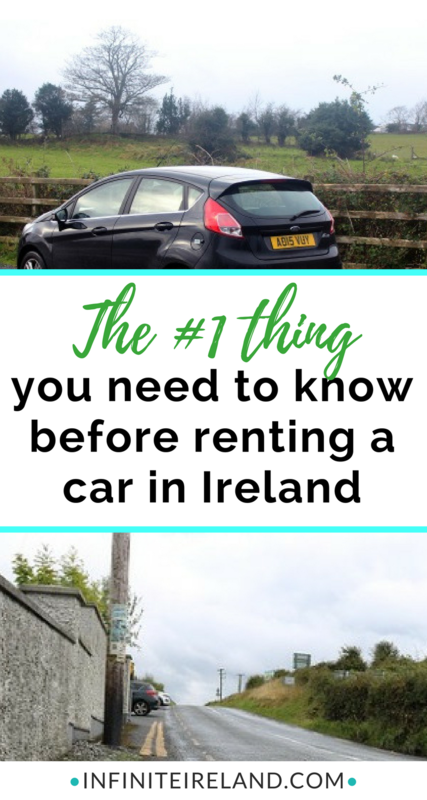 The number one, best advice I give to someone renting a car in Ireland? 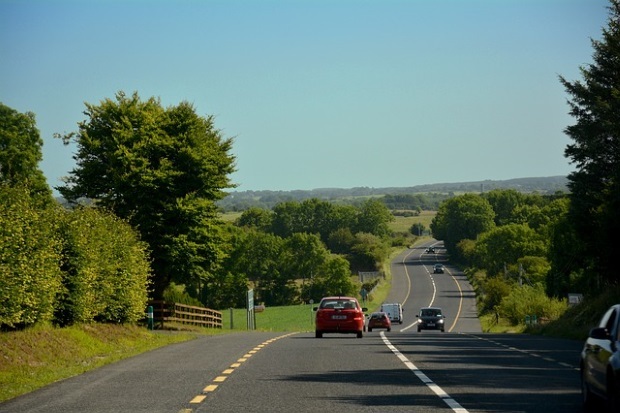 Buy the Super Collision Damage Waiver insurance for your Ireland car rental. Yup…it has a long name and it may sound confusing, but it can save your bum on those narrow country roads. Basically Super Collision Damage Waiver (affectionately known in the biz as SCDW, Excess or even Top Cover) gets your liability for damage to your rental car down to €0 or at most €250. What this really means is if you get scratches, dings, dents on your car, you won’t be surprised by a big ol’ bill at the end of your trip to get them fixed (which usually swings from a couple hundred to up to €2000). Joe and I have been traveling in Ireland for over ten years and we rarely leave without some sizable something on our car. I don’t know about you, but I want my trips to be as stress free and easy as possible. So if that means spending a couple hundred more bucks, it’s totally worth it for the peace of mind. Side note: At the moment, Super Collision Damage Waiver will run you about €22/day. Give or take depending on which car rental company you rent from. But, in my opinion, totally worth it. No, not the Irish landscape/scenery, that is as pretty as ever. 😊 But the Irish rental car landscape is changing. It used to be that you had to scour the terms and conditions on every rental car company page to find out how much this extra SCDW would cost you. You had to calculate that cost into your quote to determine your final price and purchase it at the rental counter when you arrived. Dan Dooley used to be the only website you could book Super Collision Damage Wavier online directly with the company. Some car rental companies are waking up to the fact that they benefit by being more transparent and are now listing SCDW as an option during the online booking process. Yay!! SCDW Available During Online Booking Process? Which Ireland Car Rental Company is the Best? I get this question all the time and, honestly, if you get the SCDW, it doesn’t really matter. You’ll be covered for damage (except possibly tire and windshield) and won’t have to worry about a big bill at the end of your trip. If you Google Ireland Car Rentals, you’ll read good and bad reviews about every car rental company. I have always been a big fan of Dan Dooley, but, if you get the SCDW, I say go for the best deal. What about credit card insurance? Even if your credit card does cover car rentals in Ireland (not all do), I still recommend that first-time visitors purchase the SCDW. If you have driven on the left comfortably before AND are ok with the potential hassle of compiling reports, photos and communicating between the car rental and credit card companies, I’d suggest considering credit card coverage. It will be less expensive. 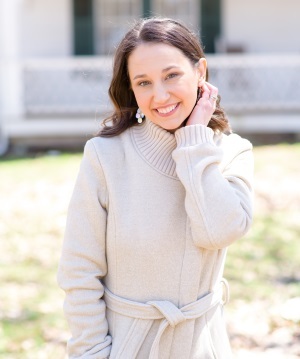 I’ve written all about credit card insurance coverage over here. Fees, Fees and More Fees. So I hate to break it to you, car rental companies have other fees than just insurance that tend to sneak on your bill too. Again, reading the terms and conditions will give you all the details. Not all companies charge each of these fees and not all will apply to you, but it pays to read everything. If you’ve downloaded my printable Ultimate Ireland Packing List, you already knew some of this (smart cookie, you). 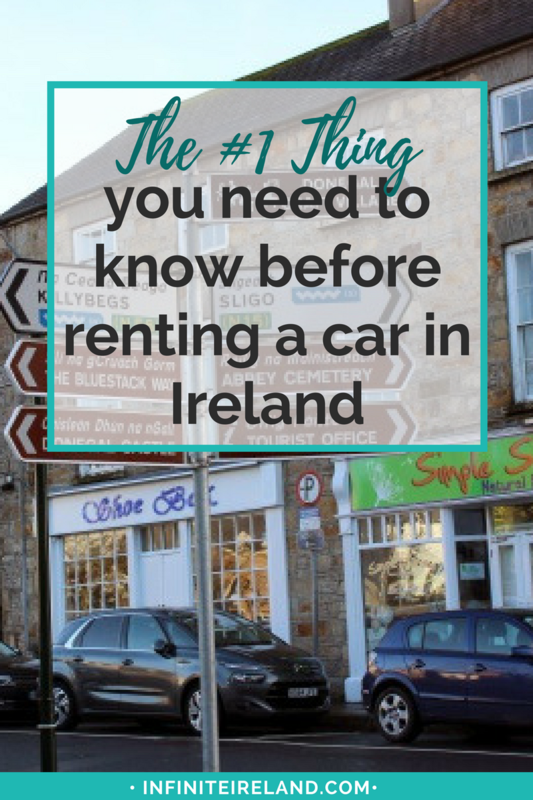 If not, just enter your info below and you’ll get the best packing list ever and a series of all my favorite Ireland travel tips, including a few more about driving in Ireland. You might like to know that Dan Dooley is going to stop making wifi hotspots available to rent with their cars. Their website now shows wifi available for $25.00 a day. When I asked about the cost of the wifi, I was told that they planned to discontinue to offer wifi in the future. Thanks David! I hadn’t heard that–$25/day is a bit over the top so clearly they are discouraging it already. We had a great experience with travelwifi.ie this past trip and paid less than we would have at the rental agency. Looks like we’ll be continuing with them. Thanks for the tip!! Oh thanks Deb!! Love your word of the year. We have a “name three things your thankful for” tradition at the end of every day. So helpful to keep things in perspective. Thanks for all your advice , Stephanie . I’m sure many will find the car rental info very helpful. This was a major stress for us when we were initially booking , in fact so much so that we were considering not even going , as we are from Australia , the other side of the world. I didn’t at first understand the emphasis on tyres , but after seeing the deep drop offs on the side of the road I soon understood. Amazingly , we had no car damage at all , but I must insist that the CDW is mandatory . No exceptions !!!!. At least you don’t have Kangaroos over there . I was on a trip to Western Queensland recently , in a work vehicle , and did clip a Kangaroo , [ there are millions of them here so don’t feel too sad ] , so Insurance was not a problem , but it could have been much different in a Hire Car . If anyone intends to visit Australia , please feel free to write for any travel tips , as I have travelled around a lot of this wide brown land . I think that the distance from the bottom of Australia to the top is about 5,000 kms . Don’t even mention the width , It takes 5,5 hours to fly across our country .. Keep up the good work !! Cheers , eddie . We are getting ready to book our rental car for May 2018. Any last minute input on the Dooley Enterprise merger? We used Enterprise for our trip . They were quite good , however I don’t really like recommending anyone as we’ve only done one trip . Stephanie has much more experience in these matters , so I would follow her advice . Dan Dooley seems to be operating as usual at the moment and I would still recommend them (all of the same staff are at the airport). I even had someone just email me saying they had a little trouble with their GPS working and Dan Dooley refunded them 50 euro when they brought it back. So still appears to have the same great customer service too. :-) Hope this helps Suzanne! 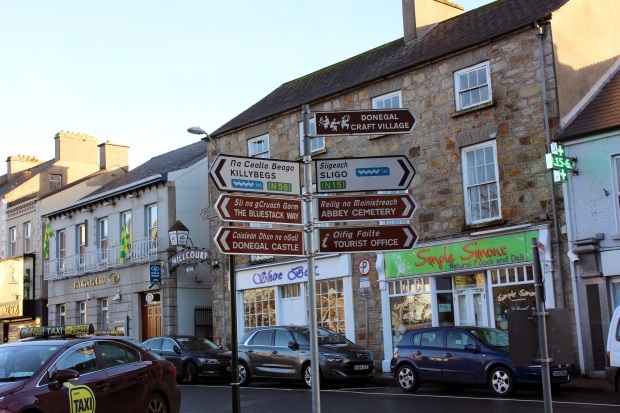 I enjoyed all your Ireland hints as we planned our trip for this past October…. and I thank you for that. Ireland was one of my best vacations ever. I’ve had this on my list of “Things To Do” since our return and finally getting to it. Are you aware of the “adjustable headlights” on the rental cars? 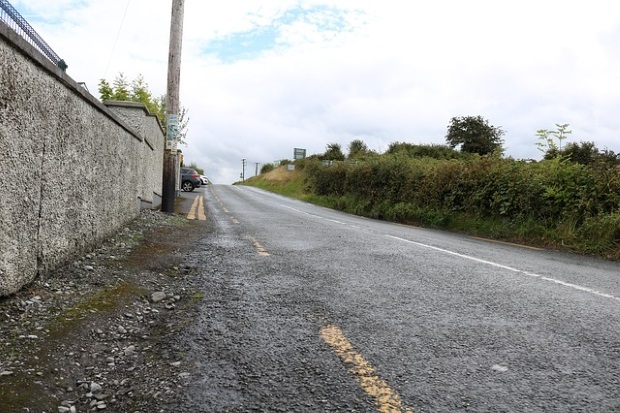 We drove in the dark from Dublin to Killarney with our headlights shining down so low we could see only 4 feet in front of us – it was dangerous & exhausting – plus the last 2 hours was heavy rain. Two days later while telling an Irish bartender about it, he took us outside and showed us the “headlight adjuster dial” located on the far right side of the dashboard near the door. It was set on zero. We clicked it up to 3 and immediately had “normal” headlights. Please add to your rental car tips to check your rental car headlight adjustment dial to be on 3 prior to leaving the rental station. Because we don’t have such a thing in the USA, we did not even think to stop at a gas station and ask about our bad headlights – we just thought, “that’s the way they are here” – daaah!!! Thank you for this post. It has been really helpful as we plan our trip in March. Two quick questions: 1–we purchased SCDW. I assume that Collision and Damage insurance is included in this and not another additional item we should purchase? 2. We will be going all around Ireland. You mentioned a ‘cross the border fee’. Is that something the rental car companies charge? Is this different at all by company? Yes. If you purchased Super Collision Damage then regular Collision Damage is included and you won’t have to pay more for that. Not all companies charge a cross border fee, so you’d have to check with your car rental provider to see if they do (read the terms and conditions of your agreement). I appreciate your comments however I have already booked with AutoEurope. We had good success last year with them on the mainland. However you have given me more thoughts for concern. I ordered their zero Deductible. Do you have any experience with AutoEurope in Ireland? We know they are a consolidator, the actual rental company is Dollar which we also have had past dealings. Any further thoughts or ideas would be helpful. As someone wrote this is the most stressful part of the planning and hopefully not the most stressful trip. Thanks! Hi Cindi! Sorry I didn’t see your post until now. So since Autoeurope is a consolidator, you will likely have to book the deductible with dollar at the rental counter when you arrive. I haven’t seen AutoEurope have the 0 deductible Super Collision Damage Waiver in their quotes before (but perhaps you’ve already contacted Dollar directly). Just be sure you know what’s in your quote. I generally like working directly with the car rental agency so that I don’t have any problems understanding the terms and what is covered. Thanks for the great post. I’m traveling in the beginning of August with my sub and and 2 small kids (1.5 & 3.5 years old). Do you know of anywhere to rent car seats? I’m considering a car rental for the 5 days we will be staying in Iceland with local friends. Perhaps we can get away with taking a taxi to shuttle to their house and only renting a car on a few of the days to save some money. Any input is greatly appreciated! I am so sure about Iceland, but most car rental companies allow you to rent right from them. There are also private businesses at some airports that rent child equipment specifically for families traveling without their car seats. I know that there is one in Dublin. Perhaps you can check at Reykjavik?